Kettlebells for many years were so popular with Russian athletes, but that seems to be changing as more people in the USA and Europe embrace them. Today, kettlebells are so prevalent in most gyms across the world for their impact on strength training. 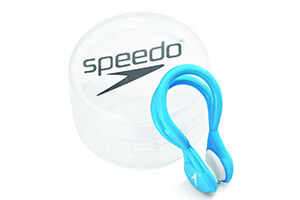 They are quite useful in cardio exercise and come in different models and designs. Choosing the best kettlebell requires one to look at the material, size, and coating. 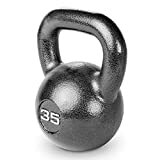 Marcy HKB-035 Hammertone Kettle Bell, 35 lb. 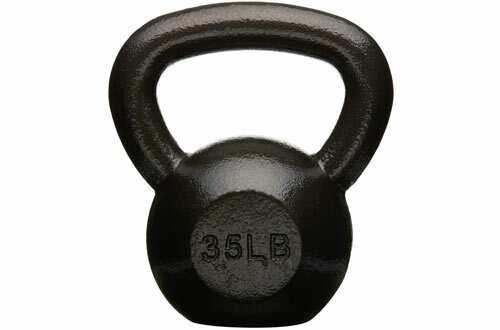 This is a solid iron cast kettlebell weighing 30lbs. It is a great selection that does not contain any seams, weak spots or welds making it ideal for both outdoors and indoors. It has a flat bottom for upright storage and wide, smooth handles for comfortable gripping. You will not need chalk to get a secure grip when working out. 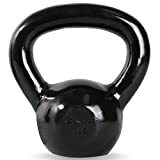 The finish of the kettlebell is the black pain that prevents rust and corrosion. Overall, it is versatile and functional equipment for a wide range of exercises. 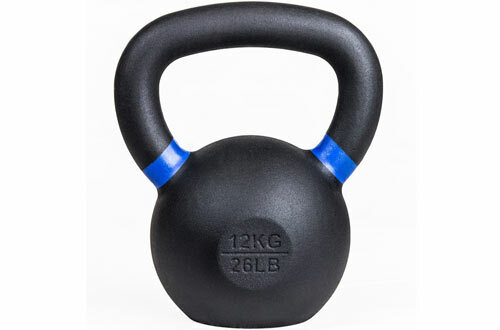 The Rep Kettlebells is a comfortable and ergonomic choice for steadily improving your metabolic and overall fitness. 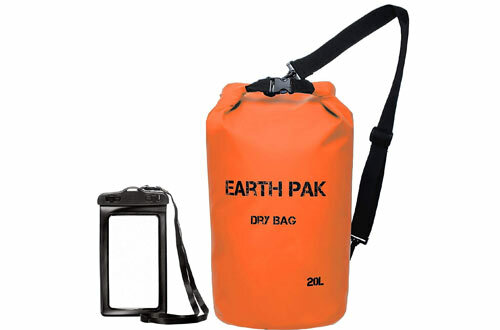 It is a durable construction that features a smooth and slightly textured handle. This offers you a comfortable but secure grip. That handles are further powder coated to prevent corrosion and rust. 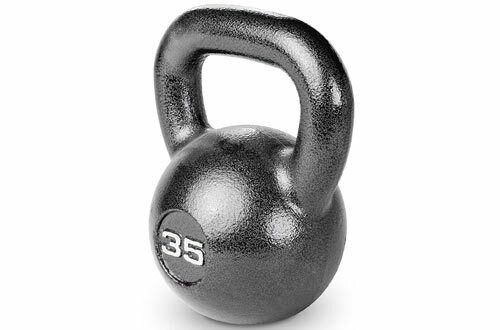 These are single iron cast kettlebells to improve durability and feature a flat bottom. They are sold in different color-coded weights for easy identification. 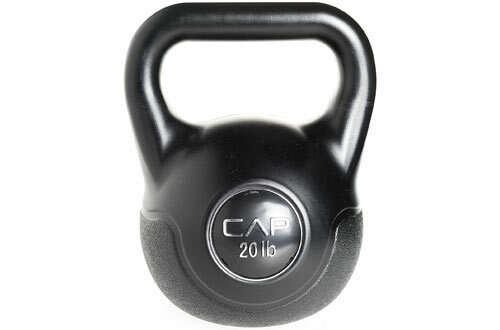 The CAP Barbell cement kettlebell is a highly rated selection from a leading brand in the industry. It is a solid and durable choice that you can buy with confidence. It features a protective vinyl that helps protect the bell from tear and wear. The handle is smooth and powder coated offering you a good grip when working out. 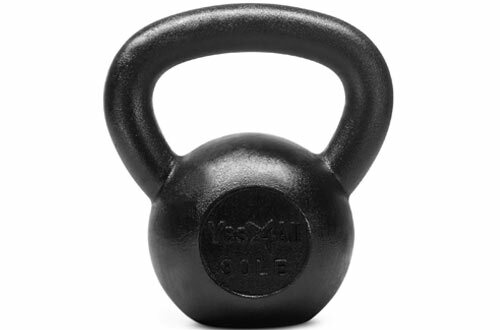 Overall, this kettlebell can help you develop strength, endurance, balance, and power. 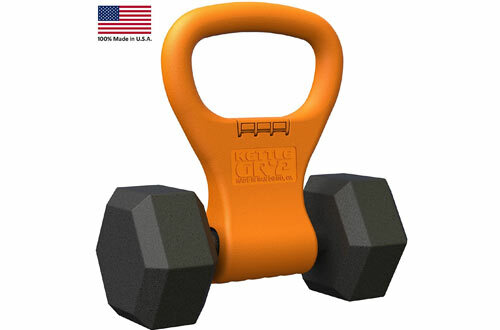 This is another leading brand kettlebell to support a wide range of resistance training exercises. 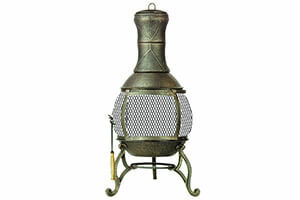 It a solid cast iron construction and one that will remain in good shape for generations. It painted to help prevent corrosion and rust while increasing durability. The handles are wide and smooth for a comfortable grip. 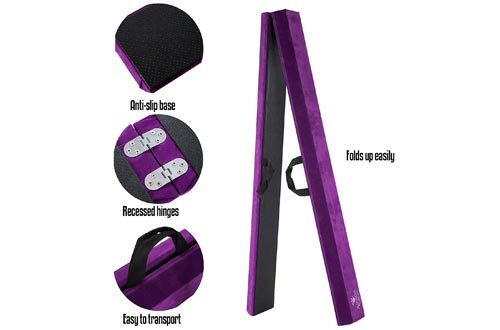 This allows you to hold it with one-hand or two as you exercise. 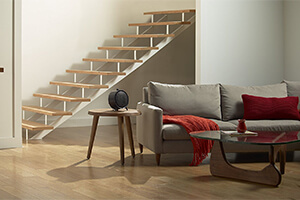 One-year limited warranty further backs it. 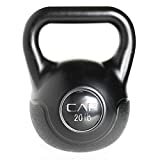 This is another quality 10-pound kettlebell from CAP Barbell with a solid cast iron construction. This construction ensures long-lasting durability and good value for money overall. It is painted black and features a machined fishing that will withstand any harsh weather elements. The handle is smooth and wide enough to allow easy use. Overall, this is a great buy with a 30-day manufacturer’s warranty. 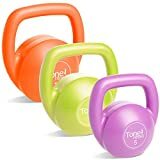 This is a valuable set of three kettlebells something that gives you the ultimate value for your money. 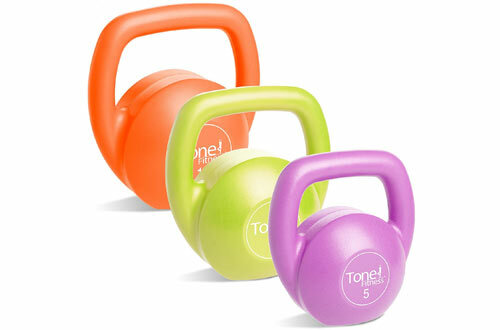 Each of the kettlebells comes in a different color to allow for easy identification of the weights. It is a great choice of 5, 10 and 15-pound weights to get you working out your muscles. They all feature flat bottoms for easy and upright storage while the handles are broad to fit your hands with ease. Overall, these kettlebells will offer you affordable and versatile weight training. 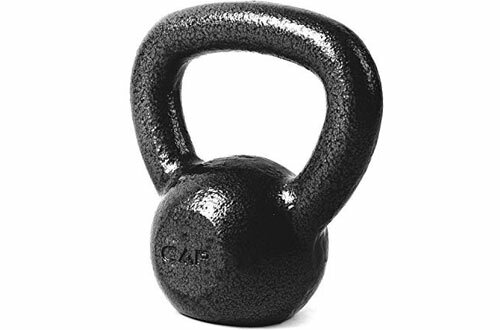 This is another solid iron cast construction kettlebell from CAP Barbell to get those muscles out. It is a great selection with a smooth finish that offers a comfortable grip. The handle is wide and roughly textured to ensure the bells do not slip when the hands are sweaty. It also features a black painting that helps protect it from corrosion and rust. This means you can use the kettlebell for years and get good value for your money. 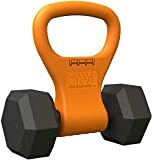 This is a highly portable kettlebell and one of the best choices if you need to work out everywhere you go. 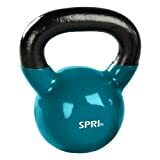 It is a pretty lightweight kettlebell weighing less than one pound but with options to hold standard dumbbells. It is a versatile choice to use on a wide range of training in the gym or at home. 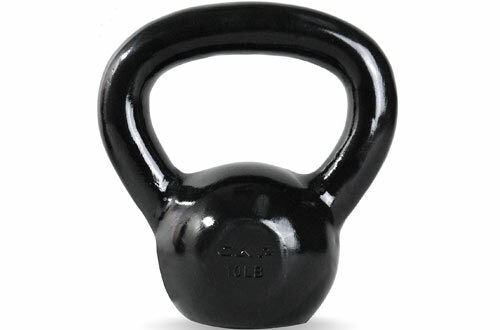 Overall, this is a quality kettlebell made in the United States. It also comes with a satisfaction guarantee where you get a full refund if you don’t like it. 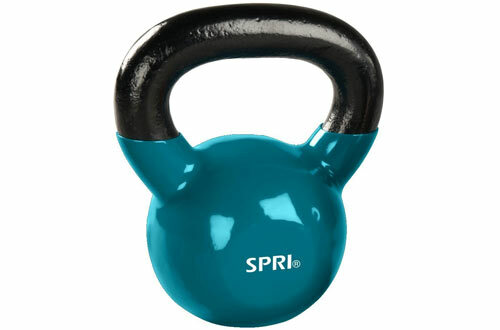 The SPRI is another high-quality kettlebell with a lovely smooth finish, wide handles and a vinyl coating to protect against damage. The design allows for fun and functional workouts that develop power, muscle strength and endurance. 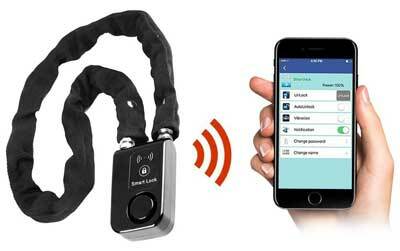 It also features wide handles that give users a comfortable grip. Overall it is a durable choice with a vinyl coating that prevents the damage of floors. You can quickly identify each weight through the color coding. The Marcy Hammertone kettlebells feature a durable hammer tone finish that makes them look great and protect them from rust and corrosion. They are a sustainable choice for extensive muscle strengthening and come cast to the exacted weight indicated on each bell. These bells are available in a wide range of weights from 10, 15, 20, 25, 35, 45 and 55 pounds. A 2-year warranty also backs them. Kettlebells are quite popular nowadays and remain one of the major ways to increase muscle strength, power, and endurance. 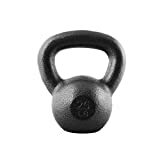 Make sure you get by your body to optimal fitness levels by buying one of the best kettlebells on the market from our list above.